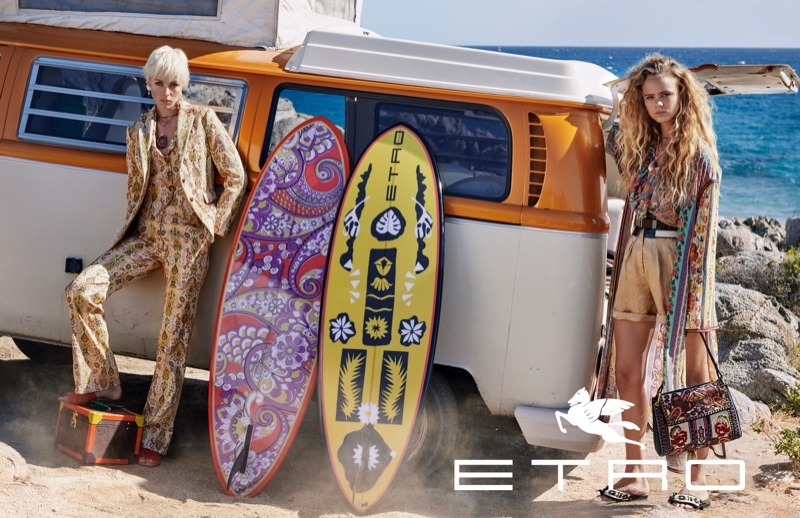 Whimsical and vivacious, Etro brings forth its Spring/Summer 2019 Campaign, and heads to the beach for the shoot. 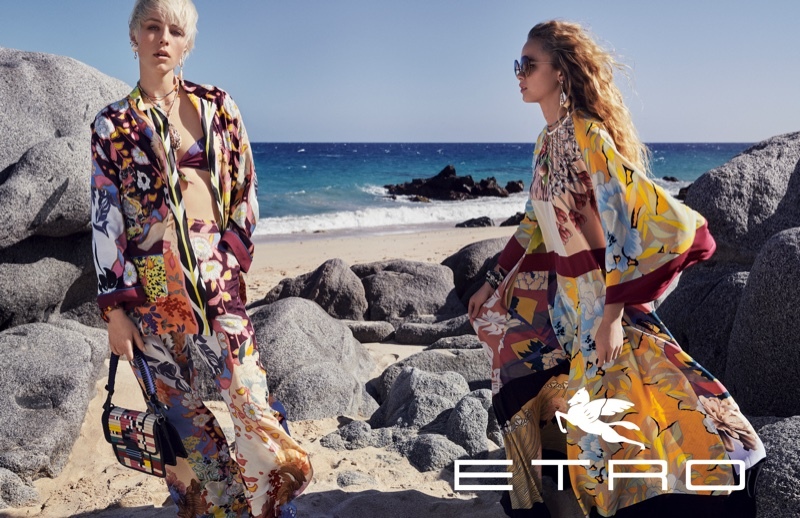 With the photography works of Cass Bird, Etro goes on location to San Jose Del Cabo, Mexico, with models Edie Campbell and Olivia Vinten. 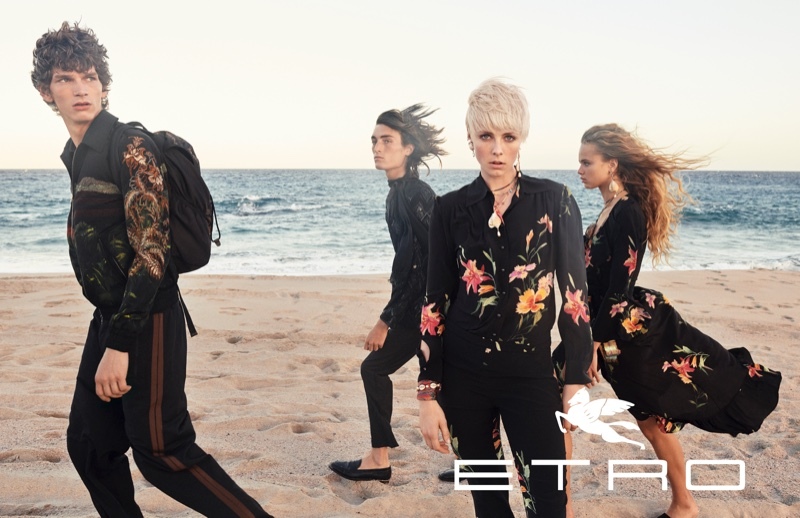 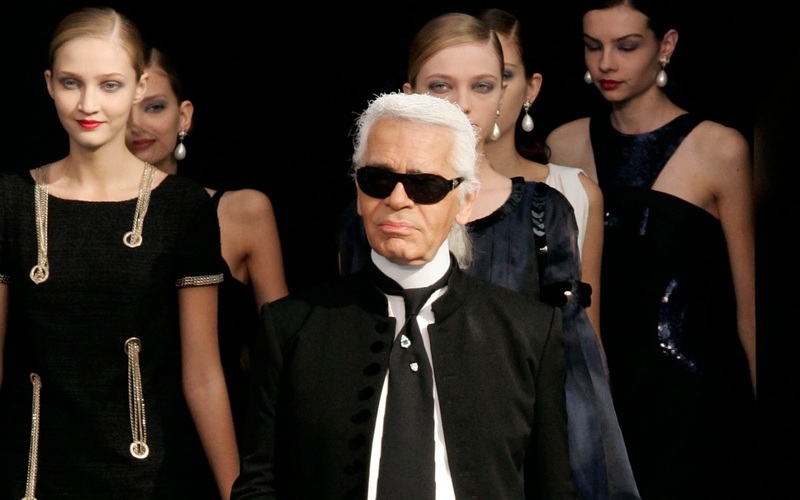 along with male models Nikolas Traubman and Erik Van Gils. 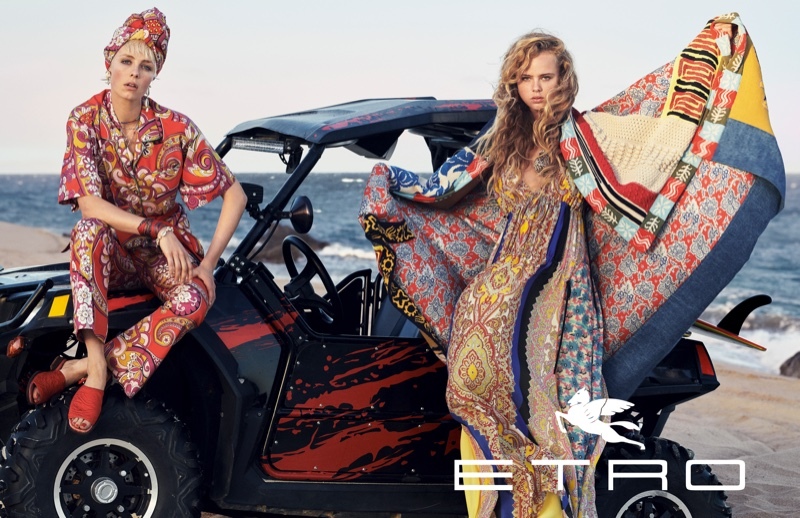 Wearing Etro's bohemian and colourful ensembles, the models instantly catch the eye, and are stylish in languid silhouettes and breezy shapes. 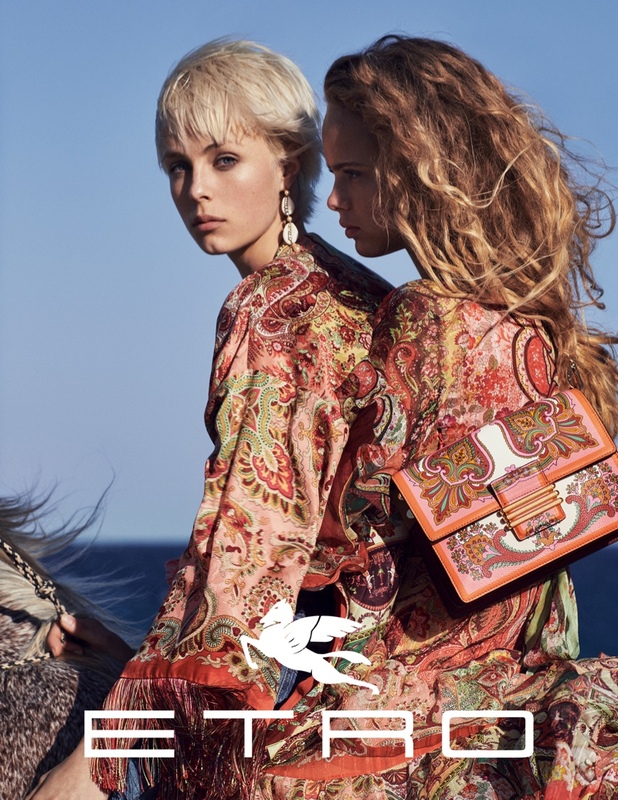 The Italian brand also brings back its Pegasus logo this season, and seeks the styling works of Anastasia Barbieri for the campaign with hair by Tamara McNaughton and makeup by Romy Soleimani.